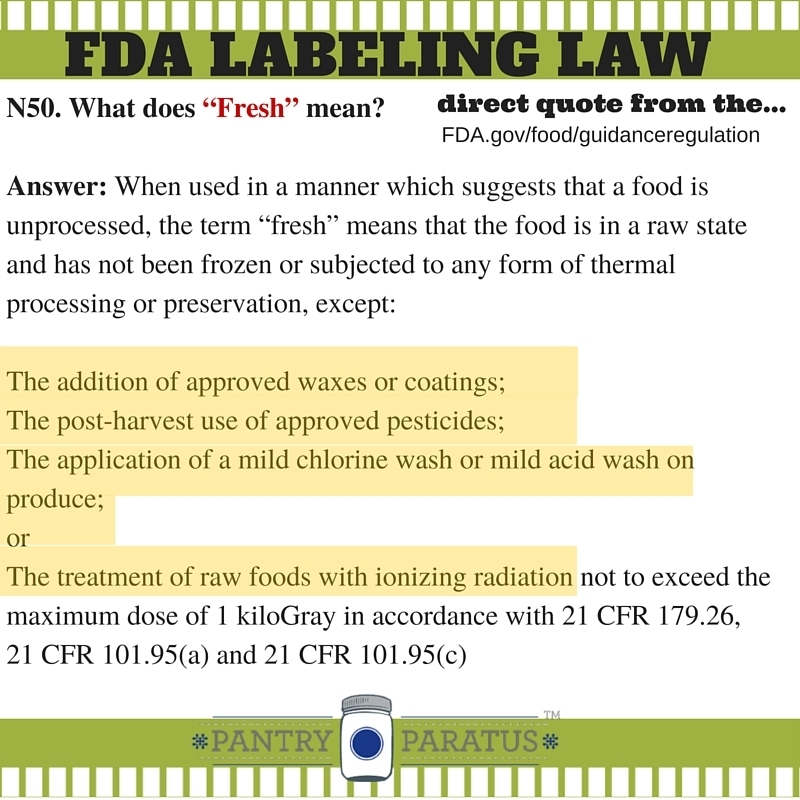 Labeling Law Deceptions and Hidden Agendas: What do Food Labels Really Mean? I admit it, I'm a harsh critic when it comes to government regulatory agencies with hidden agendas. The FDA & USDA Agenda? The demise of family farms, the backroom dealings to permit food imports from China and other countries with nefarious and unregulated practices…whew, I’m out of breath. The list goes on, my friends. And with these things in mind, this post will seem uncharacteristically kind. 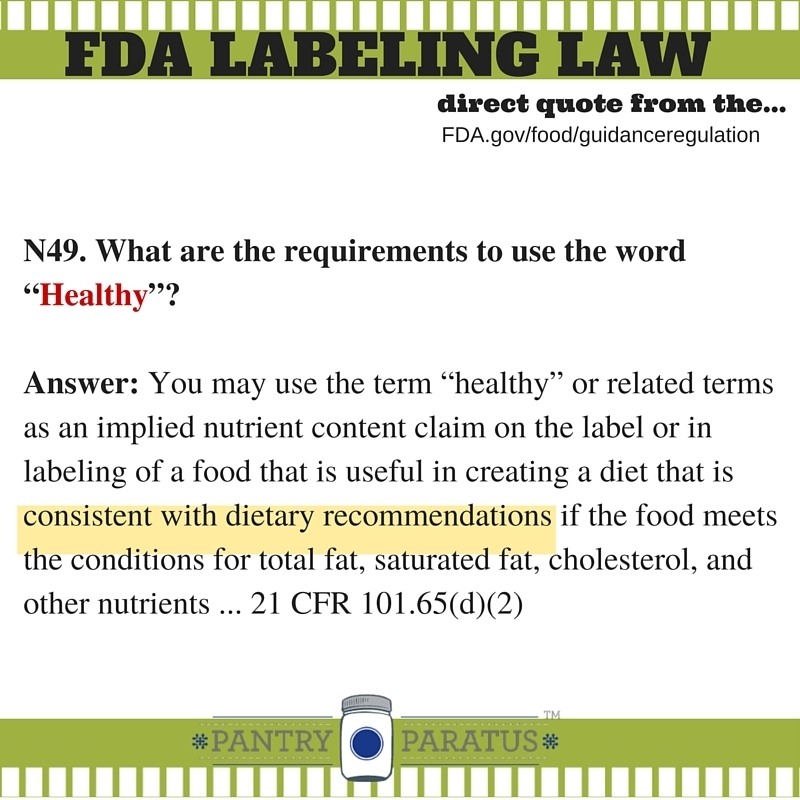 We are going to walk through just some of the nebulous wording on prepackaged foods and how those words are permitted by the FDA. I have read the regulations multiple times, and let’s get to the point—labels are small, words have to be prioritized. The companies have big lobbies and get their way more than not. See there? I can take off my tinfoil hat sometimes. Just don’t get used to it. 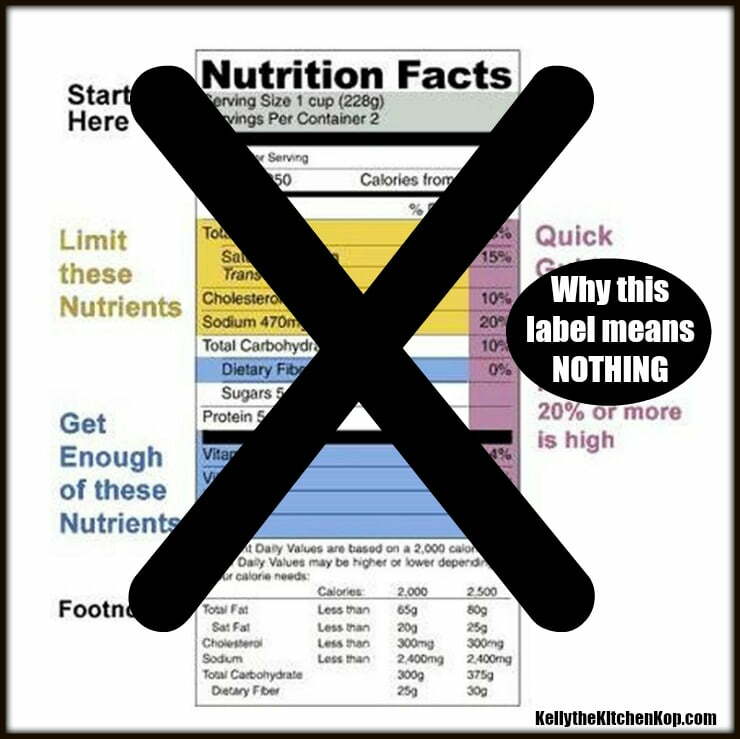 What do Food Labels Really Mean? The word can be used if the food lines up with the current dietary recommendations. So, if you're a MyPlate kinda' guy, then it must be healthy. And if you think that MyPlate is trying to dumb down the masses (by eliminating the healthy fats that are directly linked to brain development) and trying to kill them too, then it's time to get that tinfoil hat back on (they're a bit scratchy at first but you get used to it). I have a hard time seeing 19% being high in anything (failing grade, right? ), but it isn't based on that percentage alone–it's with the idea that you are only eating one serving (which is what–2 crackers? Who DOES that? ), and that you are eating a well-balanced diet through the rest of your day as well. I learned more than I ever wanted to about waxes and coatings on produce once when my son had an allergic reaction to the local apples I bought through a food co-op. Did you know that fruit wax may contain animal or insect parts, corn, or wheat? Or that they can legally be made of wood rosin, co-polymers (plastics), or Sodium Lauryl Sulfate, a coal-tar solvent, or even…no joke…whale sperm oil?!!! Do you know what irradiation is or how it affects your food and health? Learn more about the dangers of irradiated foods here. Back to our original point: is the word “fresh” misleading? I think I'll stick with my garden, bartering with neighbors, and the farmers I trust. 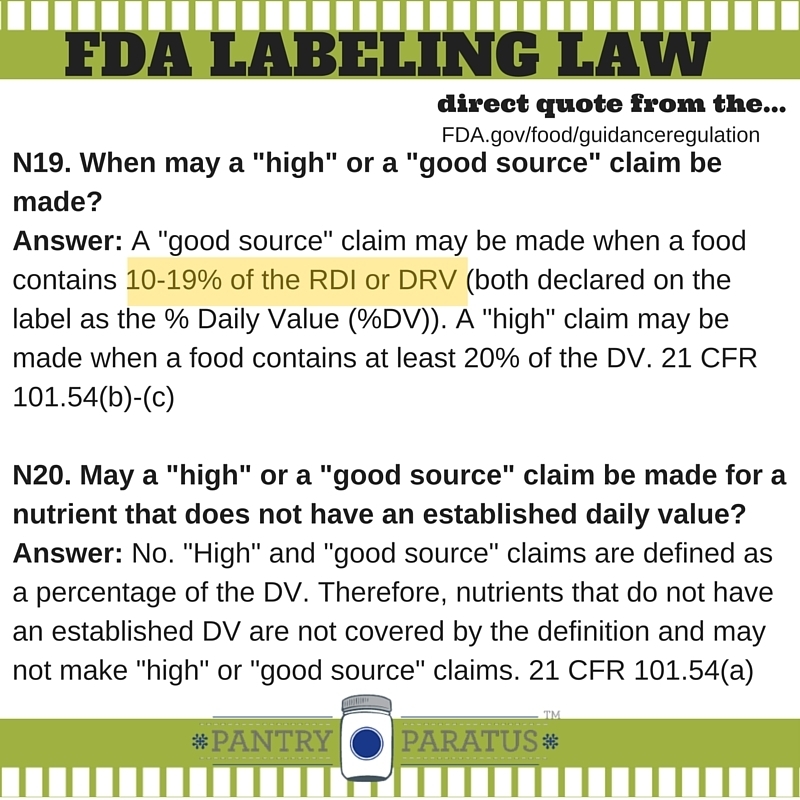 Don't let the FDA define these words for you. Know where your food is coming from, and know what to do with it. 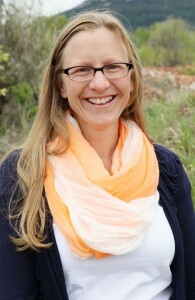 Top photo used and adapted with permission. Can't find something on the KK site?CLICK HERE!